Internal Medicine Physician Doctor Sun City Inland Empire - Dr. David Stanford M.D. Dr. David Stanford's medical career has been dedicated to addressing both the concerns of his individual patients and, at the same time, working with the complicated Managed Care System to get referrals, and special tests such as MRI's authorized as soon as possible. Dr. Stanford, a Diplomat of the American Board of Internal Medicine, has built a highly respected private practice in Sun City, California. After attending Medical School at Loma Linda University, he completed his residency in Internal Medicine in 1989 at the Kettering Medical Center in Dayton, Ohio, including extensive training in cancer care and cardiovascular treatments. Family led him to return to California where he worked as a Clinical Assistant Professor of Medicine at the prestigious Loma Linda School of Medicine for 7 years, teaching medical students, interns, and residents in technique and diagnosis. Additionally, as a participating physician in the Riverside County Medical Society, he is able to work with an international network of physicians and hospitals for tertiary care, such as Loma Linda University, UCI, UCSD, for patients who need some of the best doctors in the country. Dr. Stanford keeps abreast of the latest in insurance and health care policy by serving on committees and boards. He is currently the Chairman of the Pharmacy for 2008-2009 at Menifee Hospital. 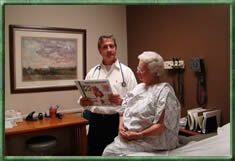 He is able to provide health care policy advice to local hospitals and doctors. The focus of Dr. David Stanford's practice is on the prevention and early detection of disease, and state-of-the-art quality health care of chronic illness. Finally, Dr. Stanford's practice is perfectly prepared in the instance of serious illness, where hospitalization or emergency care is needed. In addition to his participation in coverage groups, which provide continual access to a team of highly qualified Colloquies to help even the sickest patient, he personally maintains balance caring for the same patients in the hospital and the clinic. 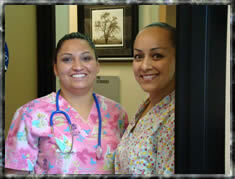 Our office is located at 29798 Haun Road, Suite 308, in Sun City, California. In the heart of Sun City, off the Newport Exit. The waiting room is quiet and discreet, and the office is staffed by a highly trained medical staff, whose responsibility is to ensure that patients are seen quickly and that their care is managed in an efficient and courteous manner.